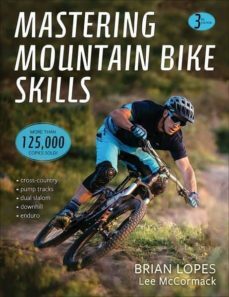 Advance your mountain biking experience even further with Mastering Mountain Bike Skills, Third Edition. Learn from the firsthand advice and personal experiences of world champion Brian Lopes. The third edition features more high-quality photos, improved instruction, and new techniques and tips for every riding style.